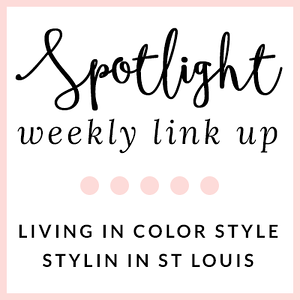 Stylin in St. Louis: Spotlight of the Week: Pretty In Pink…. 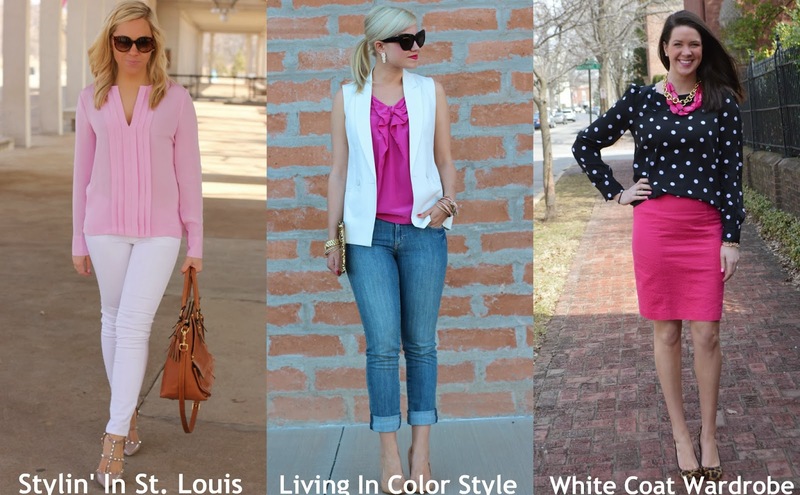 Spotlight of the Week: Pretty In Pink…. Cannot believe Thursday is already here! Today, our spotlight weekly theme is pretty in pink! I have been drooling over this top for quite some time. When it went on sale I was so happy to snag it! This is my favorite shade of pink! Come share your pretty in pink looks with Elle and I! 1. 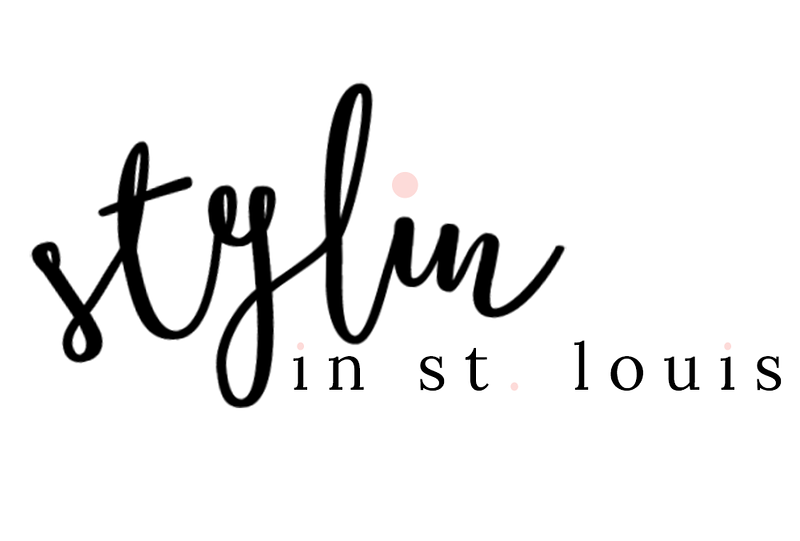 We kindly ask that you follow the two hosts: Elle from Living in Color Style and Jacqueline from Stylin' In St. Louis via Bloglovin or GFC, and of course, our co-host, Steph of White Coat Wardrobe blog. Spotlight: Our spotlight this week is Elise from Hunters of Happiness! Elise's polka dress is just stunning! That soft blue look gorgeous with those pretty blonde locks! This look is perfection! Be sure to check out her amazing blog! Nextweek: Next week our spotlight weekly theme is graphic tops! Thanks for linking up! See you next week! That top is beautiful, and that color looks amazing on you! Thanks for hosting the linkup! That shade of pink is gorgeous on you! And I own those jeans too and could wear them everyday if it was acceptable! Sp pretty! I love your blouse here. This top is so pretty on you, and I LOVE this shade of pink. Perfect for spring. Looking gorgeous, babe! This shade of pink looks great on you. I love everything about this outfit - from the gorgeous heels to the great purse. What a pretty shade of pink! I love how you paired it with white jeans...very fresh! Oh I love this outfit and it looks great on you! That blouse is so pretty - want! Love this outfit. That blouse is amazing! That pink top is gorgeous! Love it paired with the white jeans! I think I have said this before, but pink is your color. That blouse is so pretty and I love the pants and accessories. What a gorgeous shade of pink on you! It is stunning! love everything about this outfit! that top is so me - i want to steal it from you :) and your shoes are swoon worthy! Love the outfit! I want the blouse! So pretty! Thanks for hosting the linkup! I love your look! The detailing on the top is super pretty and the whole look just screams Spring!! Love it all!! 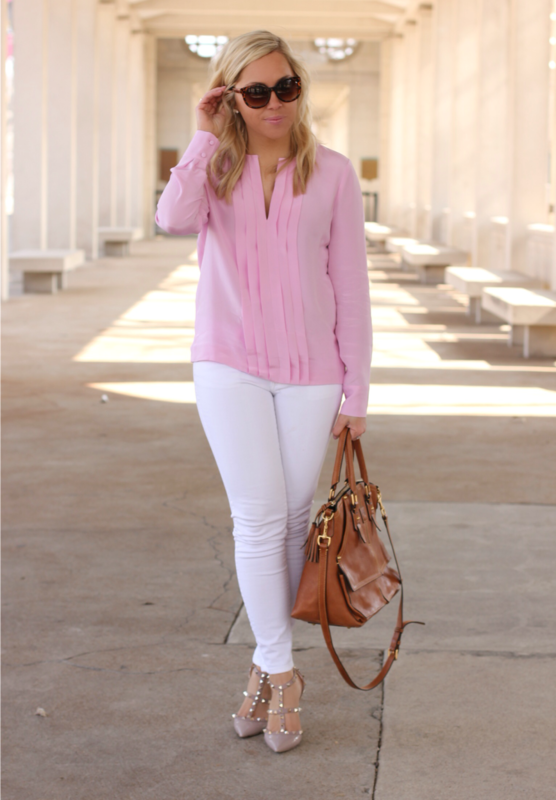 Love that pink blouse. The color is fabulous on you. Hope you are having a great time on your trip! Oh yes, loving the pastels with the white denim! Those shoes too - swoon! Pastel and white is just the best! And your shoes - kills me every time! Love the Dooney & Bourke bag! I have one too. That is a beautiful top. Also loving that shade of pink - it's perfect. The Valentino pumps are awesome too.